Marylebone in central London is a fashionable and cosmopolitan urban village located just moments north of Oxford Street. The area is known for its majestic Georgian property, pretty mews properties and period mansion blocks. Being so central, Marylebone is excellently located for the shows, restaurants and bars of the West End and is also just a short stroll away from the fantastic open space of Regents Park. 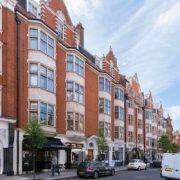 There is a great variety of rental properties in Marylebone starting from around £400 per week for a one bedroom apartment, £650 – £1,200 per week for a two bedroom property and upwards of £1,500 per week for a three bedroom property. 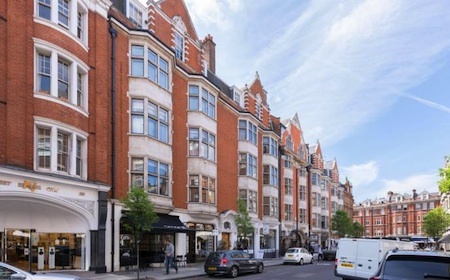 If you’re looking to buy a property in Marylebone, you are looking at spending around £900,000 on a one bedroom flat whilst a two bedroom conversion will set you back around £1,500,000. Townhouses cost from around £3,500,000 dependent on location. Marylebone is host to a fantastic selection of restaurants and bars that cater to all tastes and occasions. If you are looking for a relaxed atmosphere to enjoy drinks and a bite to eat with friends then head over to The Phoenix on Cavendish Square. Burger lovers should make their way to Meat Liquor, don’t leave without trying one of their hard shakes! For the ultimate steak and frites make your way to L’Entrecote on Marylebone Lane, they don’t take bookings so you may have to queue but trust me it is definitely worth the wait. If Lebanese is more to your taste then pay a visit to Fairuz or Maroush and the Antipodean fusion weekend brunch at The Providores cannot be missed! Living in Marylebone ensures that you are near excellent transport links with six zone 1 underground stations and its own mainland station. Marylebone tube station provides quick links via the Bakerloo line to Oxford Circus and Waterloo. Nearby Baker Street provides access to the Circle, Hammersmith and City and the Jubilee line with access to Canary Wharf in under 20 minutes. If you’re travelling by road, it’s easy to escape the city with access to the M4, the M40 or the M1 in less than half an hour. To travel further afield, Heathrow airport is only 40 minutes away by car and the Heathrow Express is a few minutes tube ride away at Paddington Station. The education options in Marylebone are fantastic making this area a great location for families. Marylebone hosts various schools which have been rated outstanding by Ofcom include Hampden Gurney Church of England Primary School, St Vincent’s Catholic Primary School and St Marylebone School for Girls. For the more creative types there is the Sylvia Young Theatre School, while SKOLA International Community School offers three International Baccalaureate programmes. Marylebone is conveniently located for easy access to the wonderful Regents Park which was designed by John Nash and covers 395 acres. Within the park there are the beautiful Queen Mary’s Gardens, Open Air Theatre, London Zoo and Primrose Hill with its excellent views across London. 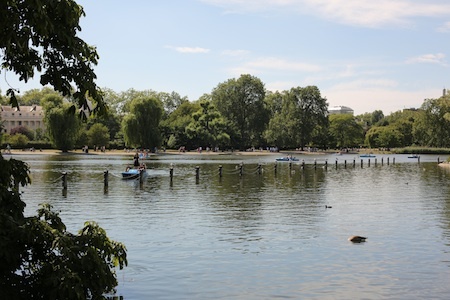 Regents Park also boasts excellent sports facilities including the largest outdoor sports area in central London, a lake with heronry, waterfowl and boating area and children’s playgrounds. There’s no shortage of properties for sale surrounding these popular city parks. If looking to find your next home, and can afford the investment required, you’re sure to find what you’re looking for in Marylebone.